Have you ever visited a website only to see the sentence, “This domain is for sale!” with a button to give your offer? That was a website URL that was being held by an individual or company who wants to sell the domain to you well above the usual price of $8.00 to $15.00. Luckily for you, there are still plenty of great options out there for potential buyers, and you can make a small fortune on reselling domains! Your URL is similar to a brand-new house that has never been lived in. If the new home looks awful, no one will want to purchase it. Likewise, if your URL website – which acts as a landing page – looks awful, your visitors will immediately think “spam” and click off of your site. To create a visually attractive landing page, you’ll want to use WordPress with a website builder of some sort. 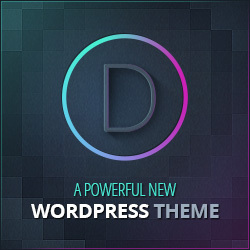 We recommend Divi Builder by Elegant Themes to do this, and you can use it to create multiple landing page websites! Before you begin your domain name reselling journey, you’ll probably want to have a dedicated website that your visitors are taken to. On this website, they can enter their information to request if the domain is still available for sale, and their bidding price. Now, notice that on this particular website, there is a “Make an offer” form right on the page. This could be useful as well, as once you enter your offer (the minimum must be $3,000) a popup will ask you to enter your full name, email address, and your phone number. The name of this company – yes, it’s a company that sells domains – is undeveloped. They are one of the best resellers on the market, and if you want a business to model after, they’re a fantastic example. When you are a domain customer, you want to make sure that your money doesn’t just “disappear” into thin air. Therefore, it’s paramount – albeit, extremely important – that your customers see that your payment process and domain turnaround time is safe and secure. After all, your customers are willing to hand over $3,000 to $10,000 just to buy a domain name, but that domain name could be worth millions to their business. URLs have been sold for more, even – for instance, CarInsurance.com was sold for $49.7 million, according to GoDaddy.com. Why was that domain so expensive? Well, CarInsurance.com is owned by Quinstreet, Inc., who got all of the major insurance companies to pay them for having them as a result when individuals are looking for car insurance. SEO has a lot to do with what your domain name is – and “car insurance” would most definitely populate CarInsurance.com first in the search results! Those insurance companies want that money as much as anyone else, and so the domain was worth a lot. Now obviously, your customers probably won’t be spending millions of dollars on your domains – all the really obvious ones are taken, most likely – but, you can find niche domains and attempt to resell them for a few hundred to a few thousand dollars apiece. Now, when considering what domains you will resell to your customers, you need to know who is looking for what. Let’s take musicians, for example. Many musicians are probably using their names for portfolio sites, band sites, and the like. If you can find some good potential band name websites, it might only be a matter of time before a band finds your reselling site and really needs the URL. However, how often do musicians do this? Not that often, unfortunately. A better example might be restaurant names. There’s a thousand different names for restaurants, and more popping up every day around the globe. In English-speaking countries, these sites will most likely be more valuable because it allows restaurant customers to order, reserve seats, and request delivery on their website. If Domino’s, a prominent American pizza chain, didn’t purchase their domain name before it was under a reseller, then they probably bought it for a few bucks. If they were to try to buy it now, they would most likely pay $100 million at the very least for the domain. You must consider your customers and what they need – think outside the box, in other words – before you go and purchase ten or twenty domain names to hold on to. But, if you get good at understanding your customers, you could make money on the internet with quite a fortune without any work at all…at least, that’s the idea! In short, consider your customers, their budgets, and eventually you can make real money by reselling domains online.